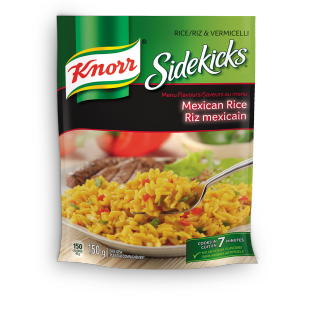 Jalapeño peppers, cilantro, garlic, bell peppers and other Mexican seasonings flavour long-grain rice for an exciting dish that will spice up your night. In an 8 cup (2 L) microwave-safe bowl, combine water and contents of package. Microwave uncovered at HIGH about 12 minutes* or until rice is tender, stirring once. Stir in Imperial margarine, cover and let stand 2 minutes. *Microwave ovens vary; adjust times as needed. Directions above developed in 1200 watt microwave.